Product prices and availability are accurate as of 2019-04-20 07:59:28 UTC and are subject to change. Any price and availability information displayed on http://www.amazon.com/ at the time of purchase will apply to the purchase of this product. 15-1/2 Gauge 1-3/4" Hardwood Flooring Staple. For use in Bostitch #MIIIFS, True Value #407-619. 1/2" crown width. Thick coat galvanized finish. Galvanization provides consistent high performance. 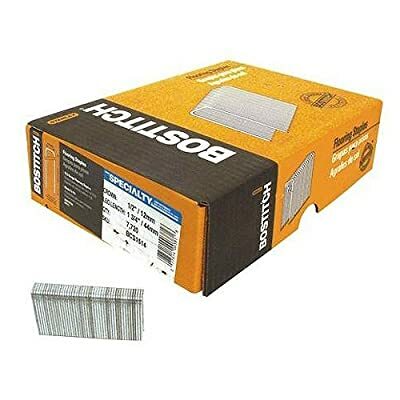 Comes with 7,720 staples per box. Chisel point.